I trade the system once per month, on the first trading day of the month. I am going to use a risk parity value of 0.006. This will increase the risk substantially, but will also be easier to manage for the purposes of tracking this portfolio (i.e. less positions to manage). I do not do the position rebalancing as recommended in the book. The portfolio is rebalanced monthly when it comes time to buy and sell S&P 500 stocks. These changes do alter the method in the book so please keep that in mind. It will be interesting to see how the system performs related to that. My guess is I will see bigger drawdowns, but overall the momentum effect will level out over time. As a reminder, this portfolio trades based on specific rules that tell the investor what stocks in the S&P 500 to buy and when. Here are the rules of the strategy (but keep in mind the tweaks of how I manage the portfolio as per above). This system does take some work to calculate the statistics required to rank the stocks. I have been able to replicate that in TC2000 so the calculations are done automatically for me (including position sizing). 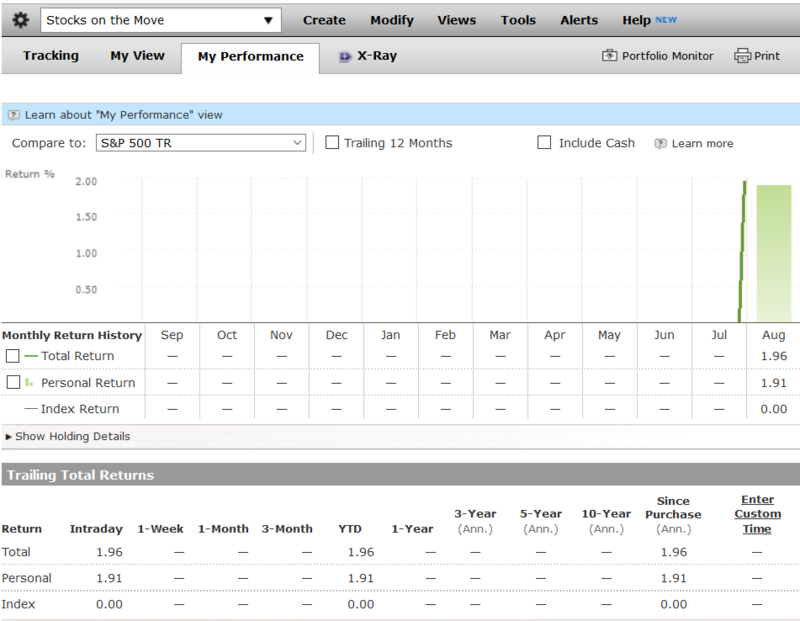 This was the first month I set up the portfolio, so all positions are new. 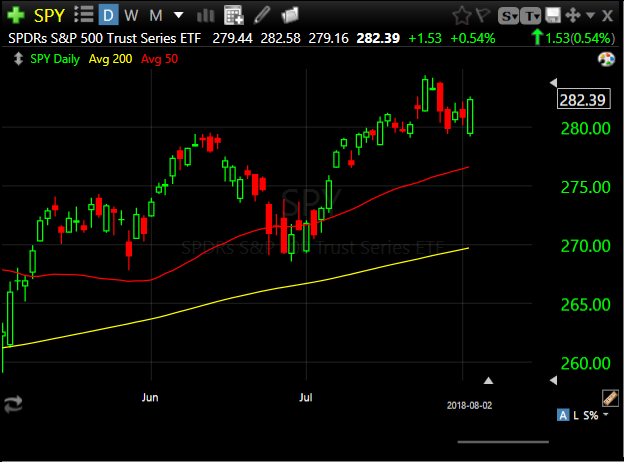 One of the rules is that the S&P 500 must be trading above its 200 day moving average in order to make any buys. The S&P 500 is above that level so the system is free to trade. Using TC2000 to do the stock ranking, here are the results for August 2018. 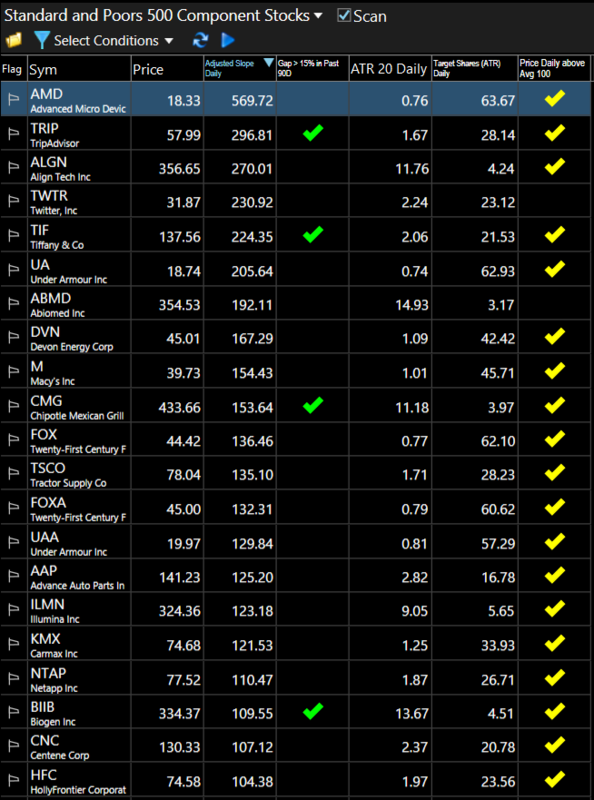 You can see I have flagged any stocks with a 15% gap as well as any stocks that are trading below their 100 day moving average. Each of the portfolios tracked use a hypothetical $50,000 starting value. This portfolio was started on August 1st, 2018. 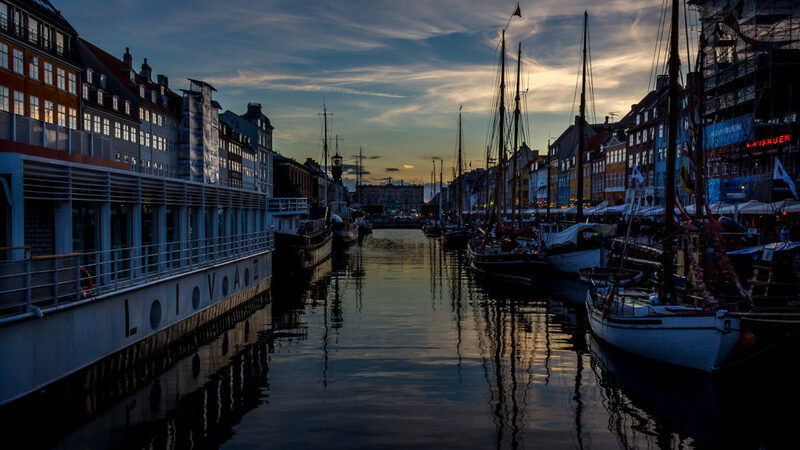 Featured Image: Denmark #9 Nyhavn by Nelson L.